With ever expanding media coverage of the amateur nationals and factory teams dipping into the amateur ranks scooping up rising stars earlier and earlier, young phenoms rarely fly under the radar anymore. North Carolina native Cooper Webb has been subject to the spotlight for many years. 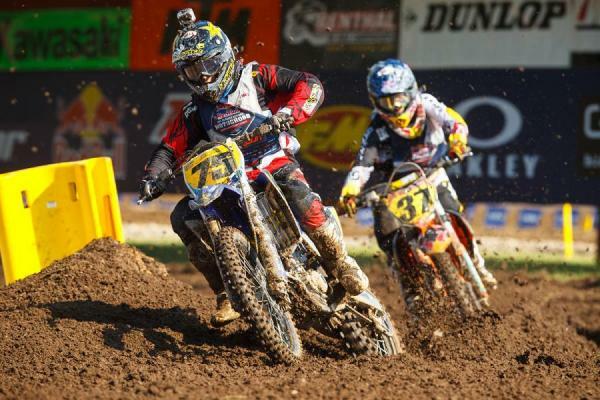 The Star Racing Yamaha rider rose to prominence early in his career after winning two titles at Loretta Lynn’s in his mini days. Webb has continued his rise to the top, finishing outside the top-three only once in his past three appearances at the Ranch. After capturing his fourth title at Loretta’s in the 250 B Stock class this summer, speculation began to arise that Webb would soon make the leap to the professional ranks starting in 2013. We caught up with Webb as he was training down at South of the Border preparing for the upcoming Monster Energy Cup to talk about the his second year at the MEC and his plans for 2013. Racer X: You’re coming off another successful amateur season, one in which you won another title at Loretta’s. What are you expectations heading into the Monster Energy Cup next weekend? 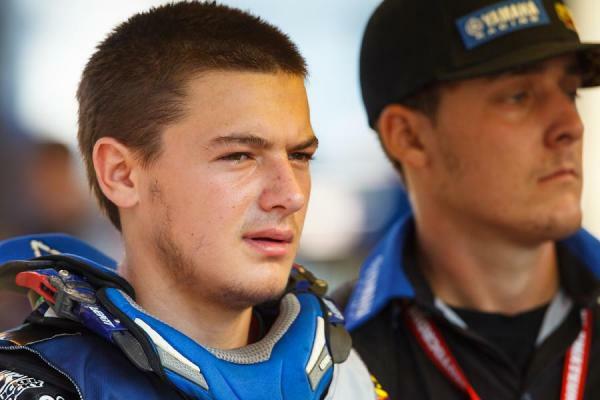 Cooper Webb: After Loretta’s I made the jump to the A class and have been riding lot of money races and been trying to ride with good competition to get ready for the Monster Cup. Tyler Bowers, myself and a couple of other guys have been riding at South of the Border getting ready. I’m really excited to go there and do well. I got a first and second [250 B Class] at Loretta’s this year so I’m pretty confident I can run up toward the front. What have you learned from training with Tyler Bowers, a two-time Arenacross champion and a veteran of supercross? Today [Monday] was kind of our first day riding together and he was able to get me to do some stuff that I may not have done had he not been pushing me. Like you said, he has a lot of experience in supercross and arenacross and he knows what he’s doing, so it’s great to have someone like that to push me and help me get better. Webb is one of the favorites heading into the Monster Energy Cup. This is the one time of the year that the A and B classes are combined and the field is really deep this year. Matt Bisceglia, Anthony Rodriguez, Shane McElrath, among others will be on the line and Adam Cianciarulo will be making his 250F debut. Does lining up against such a deep field provide extra motivation? It is definitely going to be a stacked field with the combined A and B riders. The best riders in the country will be racing and there will definitely be a lot of competition. It’s one of those things were you have to be confident, which I feel like I am. I am not feeling much pressure because I know what I’m able to do and I have the experience of racing there last year in the Supermini class and I know what the dirt is like and how the conditions will be. The Monster Energy Cup provides a unique opportunity that many amateurs before have never really had before. When you do make your supercross debut you will have had the experience already of racing in front 50,000 people. How much do you think this experience will help you moving forward? It’s definitely going to be for the better. Like you said, racing in front of all of those fans and in a stadium where you have all those fans watching your every move will be beneficial moving forward. Whenever I do decide to race supercross I think every little bit of experience will help. Also having the experience to ride that dirt will help as well because a lot of those west coast rounds are really hard packed. To be able to race a supercross race instead of racing outdoor tracks all the time will be a huge advantage going forward. The track this year has a lot of different variations from last year with the split gate and joker lane. After seeing the layout, what are your initial thoughts on the track? I saw the track map and to me it seems like it might be even better this year. The split start and the joker lane are definitely going to be tricky. I think it will be cool and a lot different than what everybody is used to. I think it is bringing more logic to the race, instead of just lining up and racing. Now we will really have to think and use strategy. Joker lane will definitely bring a lot of strategy into the race. Have you considered how you’re going to approach it? We are still wondering if the amateur guys will be doing that or not. Hopefully we get to. But me, my dad and the team have talked about it, and we have a hidden secret, so it should be good! Webb is hoping to make his pro debut at Hangtown next season. Looking forward to 2013, you are already signed with Star Racing. Can you elaborate on how you have adjusted to the team and what being on the team means for your career going forward? It’s really cool to be with the Star Racing team and for them to give me a shot. It’s really great to already have a ride in place so that I can focus on my future and not have to worry about securing a ride. It makes it a lot easier on myself and my family to already know that we have something lined up. To come from your mom and dad helping you to having a full factory team is a huge difference. They have been really awesome and I couldn’t be happier with the team and how everyone works. They have a great program with Morais [Ryan] as the team manager and Bobby [Regan] the team owner and all the sponsors—they definitely have a great package. Are the plans still to turn pro at Hangtown next season? Our plan right now is to do the Monster Energy Cup and Mini O’s and then next year do the Freestone and Oak Hill amateur nationals. After that it will be a decision between the team, my parents, my trainers Gary Bailey and Tim Crytser, and if we think I’m ready the plan will be to start at Hangtown and do all twelve rounds of the outdoor series. But like I said, it’s going to depend on if I’m ready or not because I don’t want to jump into it too early. Right now everything is still up in the air, but it would be great to start my career at Hangtown. Although the decision to turn pro hasn’t been made yet, have you already transitioned into a professional training program? Yeah. I’ve been working a lot with my trainer Tim Crytser [Racer X Virtual Trainer], and even before Loretta’s we started on a pro training program. Our main goal right now is Hangtown, and obviously we have been training for all the amateur races, but everyone’s goal is the professional level. That’s what we’ve been training toward right now and even though it’s a ways away you can never be too prepared. I’ve also been working with Gary Bailey on the track trying to get better in different areas and hopefully we will be ready by Hangtown. Gary Bailey is obviously one of the legends of motocross. What is it like to work with him and what have you been able to take away from your time with Gary? Working with Gary is awesome. I’ve been working with him since I was nine years old on a 65. I went to one of his schools and have been working with him ever since. He was one of the first national motocross champions and basically anybody that is anybody right now he has worked with at some point and he knows so much about everything that it’s great to have him in my corner and for us to have such a good relationship on and off the track.